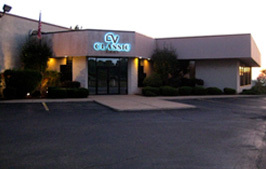 As of November 1st, 2017 The Classic Studio location at 5001 East Royalton Road, Broadview Heights, Ohio HAS BEEN SOLD. As of November 1, 2017, Classic Video, Inc and Classic Worldwide Productions will cease operations. Moving forward, all production services will be provided in conjunction with media partners. For inquiries, production requests or to just say a friendly "hello", you are always welcome to contact Jerry Patton or Bob Anderson. 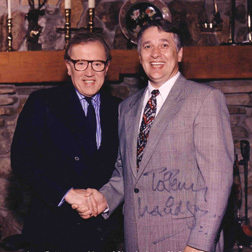 Jerry Patton and Bob Anderson, Founders of Classic World Wide Productions, Classic Video, Inc. and Classic Video Sports. Thanks to the many friends and media partners that have shared in creating the adventures and thrills over three and a half decades of media production history. 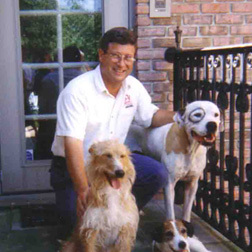 Classic Worldwide Productions was a dream come true for corporate founders Jerry Patton and Bob Anderson. The idea to begin a production company named Classic was first conceived in the fall of 1982. 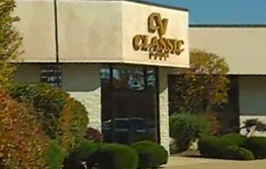 Classic Video, Inc. opened it's doors for business on Valentines day in 1983. The Classic response of "Yes we Can…" earned Classic a global reputation for it's ability to deliver. Events included both "live broadcast" and "recorded" media productions. Many projects originated from some of the most remote and challenging locations on earth. Whatever production difficulties were encountered, Classic could always be counted on to provide content at the highest of broadcast quality standards. into a beautiful 25,000 square foot studio complex that was opened to the world on January 1st 1990. It was "state of the art" and became known as Classic Worldwide Productions. Mobile operation expanded from high tech fly packs to maxed-out 18 wheeler tractor/trailer expandable units that were second to none. Classic Video Sports "CVS" became a primary facilitator for the entire spectrum of Major League Sports and Entertainment broadcasting. Not to be corralled by national boundaries and foreign languages, Classic's international services found effective ways to bridge them. Full size Mobile Units were even shipped by sea barge to off shore stadium sites to produce global "Live/Interactive conferences" Classic efforts often resulted in "raising the bar" for the entire industry with this type of live production coverage. One early on game changer was our roll in a 1985 Global Interactive Conference simulcast in 63 different languages… or later on those Discovery Channel Specials, "Live from the Titanic" and for Shark Week "Live from a Shark Cage" originating on the tiny deserted island of Bikini in the middle of the Pacific Ocean more than 6,000 miles southwest of the coastline of California. and the vast range of production experiences, Jerry and Bob are frequently called upon as consultants, facility designers, producers and mentors. The enthusiasm that ignited the vision of Classic Video, now encourages others to “Think Big, Plan Big and Execute Boldly”. Today numerous custom designed studios and production facilities found throughout the world reflect the Classic DNA. Many of today’s media executives, the “movers and shakers” can site a Classic Mentoring moment. Today Classic, like the technology we use, is down sizing. The tools for quality production are now available and affordable in pocket size or smaller configuration. High speed internet connectivity is redefining the tools of media and much more. 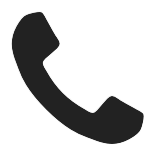 Interactive wireless and cloud based communications and marketing encompasses the world. The demand for multi-room edit suites, large climate controlled machine rooms and duplication centers with truck loads of tape distribution have gone the way of the typewriter… and so has the need for a large production facility. We have sold the Classic Studio Complex at 5001 East Royalton Road in Broadview Heights, Ohio. And so, the journey we came to know as Classic Worldwide Productions has come to it’s closing chapter… we reflect on that phase of history which we are eternally grateful. “That’s a wrap”.